Even though the excitement of summer has come to an end, we now look forward to the joys of autumn. Fall is a wonderful time of year. The air is crisp. Fall sports are in full swing. The leaves are changing colors and soon they’ll be crunching under our feet. But the days are getting shorter, the weather is changing, and other dangers too will make driving conditions more difficult. It’s important to not forget about road safety during the fall season. Here are some driving safety tips that can help you this fall. 1. Check your tires. As temperatures change, they can affect your tire pressure. Make sure that all of your tires are fully inflated. Also, check the treads and consider replacing the tires on your vehicle if necessary. 2. Be cautious of deer. Deer are notoriously active during the fall. 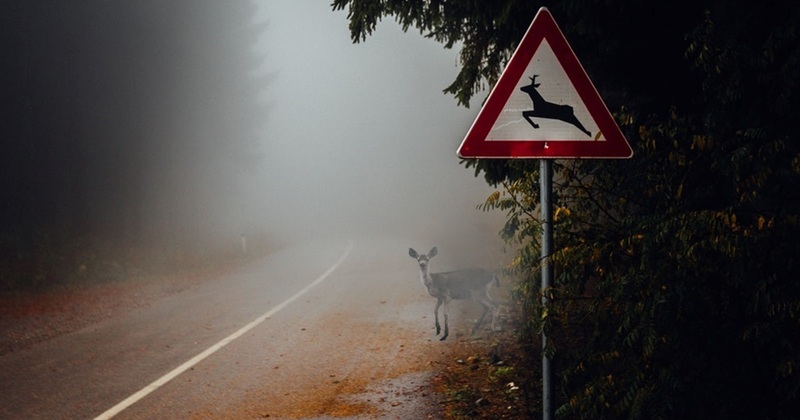 Drive cautiously around bends in the road, keep your headlights on in dark areas, and be ready to stop should a deer suddenly cross your path. 3. Consider reduced visibility. The days are shorter and changes in light could affect your commute. Be mindful of animals, pedestrians, and other vehicles that may be difficult to see when driving in the dark. Keep sunglasses in the car in case you find yourself driving against the glare of the sunrise/sunset. 4. Be wary of road conditions. Wet, rainy days and leaves accumulated on the road can be a dangerous combination. The roads can become slick and cause your vehicle to lose traction. If you need to stop suddenly, you could skid or slide. Maintain a safe following distance behind other cars and always drive at a safe speed. It’s impossible to guarantee safety on the road, but you can take steps to minimize risk. Follow these steps and of course be sure to have a well-constructed car insurance policy just in case. Give us a call at (607) 535-6501 or use our online quote system if you’re interested in upgrading your coverage. Have a great day and enjoy the beauty and joy of fall.